If you are looking to banish wrinkles, essential oils offer a natural and affordable way to heal and restore skin’s youthful appearance. Essential oils used in their natural settings with no addition of chemicals are very effective when it comes to combating wrinkles and aging. Aging is caused by several reasons. First of all it is the harmful UV rays produced by the sun. 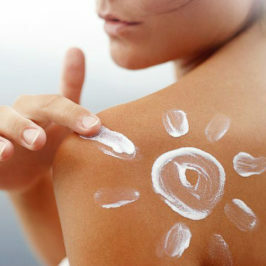 These rays bring about sunburns, sunspots and loss of skin’s elasticity. Secondly, as the skin ages, the rate of sebum and collagen production decreases with time. It is the sebum that keeps our skin moisturized, smooth and hydrated. If the sebum and collagen produced is not enough, the skin develops wrinkles, skin rashes, pimples and blackspots. All these make you look older than you really are. However, you can beat that by using essential oils mixed with carrier oils (as most essential oils are too concentrated to be used on the skin directly) and you can easily prepare them from the comfort of your home. Lavender essential oil contains antioxidant and antibacterial properties. The antioxidant properties aid in the production of catalase and glutathione enzymes which help in fighting free radicals and toxins that cause aging. Moreover, lavender oil has moisturizing properties that penetrate the skin to bring about cell regeneration. 2 ounces of olive oil as well. After mixing, you apply the mixed solution onto your face and massage it gently on your face every morning. All you need for your skin to keep looking younger every day is active cell regeneration. Exactly that is done by frankincense oils. It helps in active cellular regeneration to limit the occurrence of wrinkles on your skin. By keeping the skin cells healthy, the production of elastin and collagen is enhanced which keeps your skin firmly positioned without sagging. Besides, this oil has astringent properties which protects against infectious disease that could harm the skin. 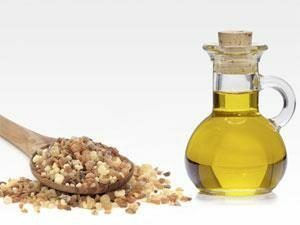 Diseases such as acne, skin rashes and black spots can never attack your skin so long as you use frankincense essential oil. Other reasons why you should always use this oil are that it improves your skin tone, lessens the appearance of scarring and eliminates sunspots. You need 1 tablespoon of almond oil, 2-3 drops of frankincense oil and a dropper bottle. Pour both oils into the bottle and shake thoroughly. After cleansing your face, take 4 drops of the solution and massage it gently on your skin. Do this every day for about 3 weeks and notice the difference. 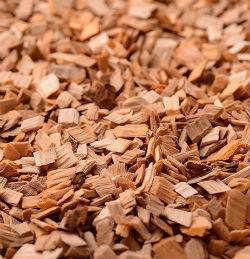 If you want to look radiant and youthful at all times, then sandalwood has to be on your list. It is one of the few oils with both antioxidant and astringent properties that combat blackspots, wrinkles, sagging skin and skin radicals. All these help in tightening your skin and providing healing to already damaged one. Take the three oils in their appropriate proportions and put them in the dropper bottle. Mix and stir the solution. Clean your face and apply the mixture on your face and neck while massaging gently. Repeat the process on a daily basis for about 4 weeks. It has a unique property that enhances blood flow to the upper parts of the skin. With sufficient blood flow, the amount of oxygen exposure to the skin is increased which promotes removal of dead cells from the inner parts of the skin to the epidermis. Dead cells removal ensures that new cells are actively regenerated which enhances a smooth, wrinkleless, younger and healthier skin. 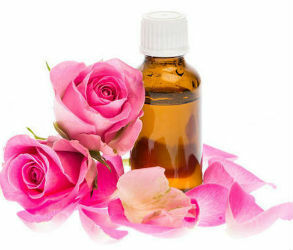 Additionally, rose essential oil also helps in maintaining collagen in our skin. This enhances skin’s elasticity making sure that it does not sag. By using a clean funnel, pour both oils into the dropper bottle and shake well to ensure that the mix is evenly distributed. After cleansing your face, take 5 drops of the mixture and massage it gently on your face in circular motions. This oil mixture should be used daily as a moisturizer since it controls excretion of excess oils, prevents acne, smooths the skin tone and brightens the skin. It is one of the most popular carrier oils since it resembles our own sebum. It enhances skin’s rejuvenation and subtleness minutes after application. Its moisturizing properties leave the skin feeling soft and anti-clogged. The main reason why the skin develops rashes, blackheads, pimples and acne is because the skin pores at times get clogged and therefore the excess sebum and excess oils remain in the upper layer of the skin without being exfoliated. 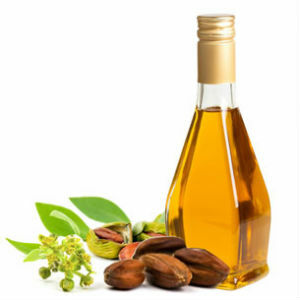 Jojoba oil opens up the clogged skin pores hence loosening up the accumulation of dirt and excess oil. This promotes regeneration of new cells bringing about smooth wrinkleless skin, youthful appearance and moisturized body. Another great thing why jojoba oil is widely used is that it promotes the healing process of the skin. All the notorious dead cells that stick onto your face will start falling off as soon as you apply this oil for only 7 days. Jojoba oil can either be used alone or can be mixed with other carrier oils. When used alone, you only need to take a few drops and rub it on your face. Massage yourself in upward circular motions and then allow the oil to settle on your facial skin for around 15 minutes and wash it off. Doing this for a week rejuvenates the younger side of you nobody knew about. Alternatively, you can mix it with either lavender oil or castor oil to give you double advantage over the aging skin. This oil has been used in manufacturing facial beauty products simply because the antibacterial and antioxidant properties enable the skin in fighting against free radicals that lead to aging. The free radicals on your skin often do react with air that touches your skin to form dead cells which make you look old and tired. 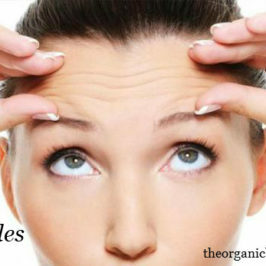 Cellular formation is also another factor that makes our skin look older that we really are. However, with myrrh essential oil, cellular formation is completely eradicated thanks to the anti-inflammatory properties it is made of. 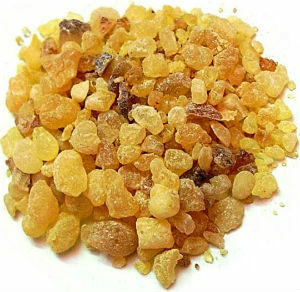 The anti-inflammatory nature of myrrh keeps your skin looking younger, fresh and attractive. the mixture and gently massage it on your face on a daily basis for a period of between 2-3 weeks. 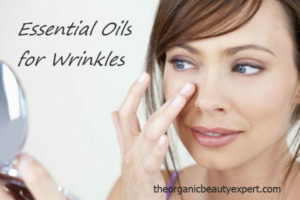 This is another outstanding essential oil when it comes to fight against aging and wrinkles. It has very powerful antioxidants which have proven for a long time to be very tough in getting rid of free radicals that could cause several varied harm to your skin. It also has polyphenolic elements which prevent wrinkle formation and protects the skin against harmful UV rays from the sun. The oil also is penetrative in nature meaning that it goes into the deeper layers of the skin to push and remove solidified sebum fats which bring about pimples and blackspots on the uppermost visible layer of your skin. In a recent study, pomegranate showed that it boosts the production of collagen which in turn improves the elasticity of the skin. On top of that, it also has anti-inflammatory, antiseptic and antifungal properties which combine efforts to ensure that your skin is free from excess sebum creation, radicals and remains moisturized whole day giving you that younger look you have always yearned for. With pomegranate essential oil, it can be applied alone by taking 4-5 drops in your palm and massaging it on your face or even the whole body. Take about 15-20 minutes before washing off the oil. Alternatively, you can also apply it on your face while going to bed and washing it off in the morning. If you do this on a daily routine can really make you look younger than all your age mates. skin is the largest organ of the body and the most exposed as well, it is mostly affected by radicals, dangerous sun rays and sorts of harm that is roaming in the environment. Geranium is made of powerful antioxidants to fight against all the radicals that attack the skin. Using geranium essential oil will help in keeping you ever young and attractive from a distance. Your face will always be glowing with brightness every other day. It also has astringent properties which mean it can be used by both individuals with oily as well as non-oily skins. The astringent properties also reduce the appearance of large open pores giving you that youthful look you have always seen on others. Take both oils and put them into the dropper bottle. Shake well to ensure they blend fully before using 4 drops to massage your face. This mixture can be used daily since it is also a good non-greasy moisturizer. This can either be used as an essential oil or carrier oil. When it comes to smoothing the surface of the skin, it is counted among the leading oils in the world. It is made up of flavonoids which have been proven more than once to help in the fight against inflammation. Use a funnel to drip the oils into the dropper bottle. Shake well and make sure that they mix well. Pour 5 drops of the mixed oil solution in your palm and massage gently onto your face. Do this on a daily routine for a month and experience how younger you will look in a short period of time. Dilution – To apply the oils on your face, mix a few drops of essential oil in a teaspoon of carrier oil. A good rule of thumb is to add 12 drops of essential oil to each ounce (30 ml) of carrier oil. Skin test – Always apply the oil to the back of your forearm first to ensure that it does not cause any allergic reaction. Protect your eyes – Protect your eyes from the essential oils as they are very concentrated.